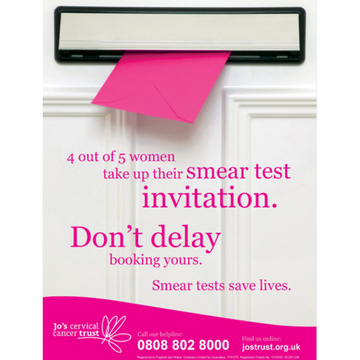 An A4 branded poster to encourage women to book their cervical screening (smear test) appointment. Signposts to the Jo’s Cervical Cancer Trust Helpline. Ideal for use at information and awareness events.